Taco is a wonderful food and also good when on a keto diet or any other low carb diet but you should be aware that some of the spices you buy in the store contain additions that are not good for you. 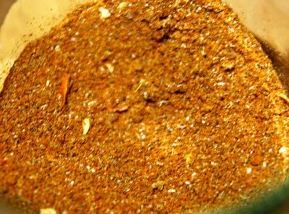 Instead you can just simply make your own taco seasoning mix. Mix together the spices and store them in a jar with a lid. You then use the taco spice mix when you make your taco from minced meat. Perfect food for your keto diet. Divide the onions in half and then cut into thin slices. Shred the peppers thinly. Fry the crushed garlic, onions, peppers and spices in oil (olive oil or coconut oil) until onions become soft. Add the ground meat. Pour in the water. Let simmer for a few minutes. Season with more salt and pepper. The entire dish can be served together with one of the many sauces that is keto diet friendly. This entry was posted in Recipes and tagged taco, taco keto diet, taco minced meat, taco mix, taco on keto diet, taco spices, Tacos on May 28, 2013 by Johan Bengtsson. This is a nice burger with mustard on it. 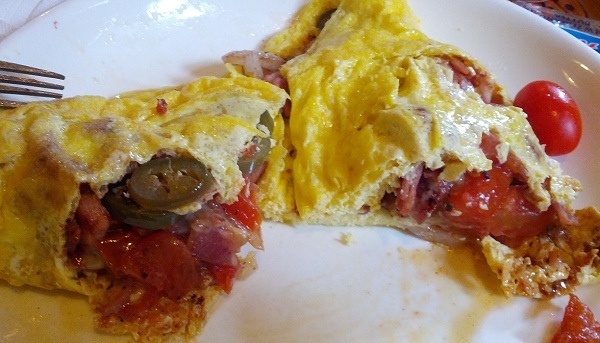 Tastes excellent and is good for you if you are on LCHF diet, keto diet or any other low-carb diet. Chop the onion and garlic, then mix with the minced meat. Add the eggs, olive oil and mustard. Mix well and season with salt and pepper. Shape the burger patties after desired size, remember that they will shrink a bit in the pan. Then let the steaks soak in the fridge for a while. Mix the sour cream, sambal oelek and garlic powder in a bowl and let it pull even in the fridge for a while while you prepare the accessories. Fry or grill the steaks and top with cheddar cheese. Serve in large lettuce leaves instead of bread. This entry was posted in Recipes on May 3, 2013 by Johan Bengtsson. 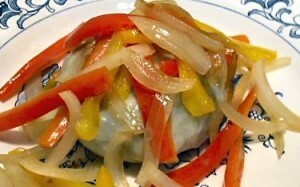 This recipe is for Turkey burgers with bell-peppers and onion. This a a very good burger and perfect if you are on Keto diet or LCHF diet. Start by heating up 1 tablespoon of olive oil in a frying pan. Fry the bell-peppers and the onions until they are soft. Add salt, pepper and other spices according to your own taste. Remove it all from the pan but keep the grease in the pan. Mix the ground turkey, fennel, garlic, salet, pepper, spices, parmeson, parsley and red pepper together. Use our guide for creating great keto burger patties and make 3-4 patties from the mix. Put the burger patties on the pan and fry them for 4 minutes per side. Add a slice of cheese on top of each burger while still in the frying pan. Let it stay a few minutes until the cheese is melted. Add the peppers and onion on top of the burger and serve. 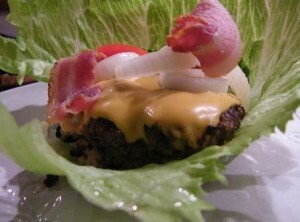 Perfect to eat just as it is, or you can use two lettuce leaves as bun. This is a recipe for Bacon and Cheese burgers with fried onion. The burger is very easy to make and tastes just perfect. Put the bacon in a large frying pan and fry it until it is crisp. Put the bacon aside from the pan and save the bacon grease. Keep around 1 tablespoon of the bacon grease in the frying pan for frying the other ingredients. Chop one of the onions and fry it in the bacon grease for around 3 minutes. Put the fried onion together with the bacon on the side. Fry the remaining onion in the frying pan together with the saved bacon grease. Add salt, pepper and other spices. Mix the ground beef, Worcestershire sauce and spices together in a bowl and form nice keto hamburger patties. Remove the onions from the skillet and keep warm while cooking the burgers. Add the fried bacon and create 4 burger patties of everything. Fry the burger patties in the grease left in the pan for around 4 minutes per side. Once the burgers are done add the cheese on top and let the cheese melt in the pan. Add the rest of the ingredients on top and server as it is or add some salad. 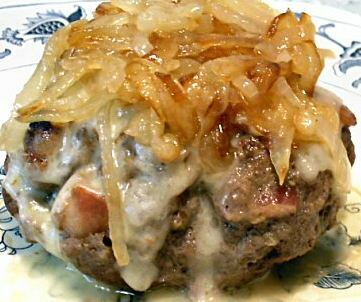 This recipe is for French onion burgers. 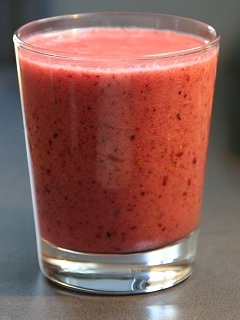 You can easily make several of these and put them in the fridge to save for later. Fry the mushrooms in butter until they are nice and soft. Add the wine and bouillon and cook it over high heat for a short while. Season with salt and pepper. You can also add other spices if you want. Taste to see there is the right amount of spices. Mix the ground beef, Worcestershire sauce, onion soup mix, salt and pepper all together untill you create some nice keto burger patties. Shape the mix to 3 beef patties. Fry the burgers and once the burgers are done add a piece of cheese on top. 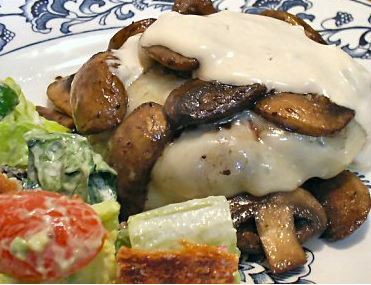 Poor the mushroom mix over the burger patties. Add a small piece of French onion dip on top. There you have it, perfect french onion burgers ready to enjoy just like they are or together with some salad. 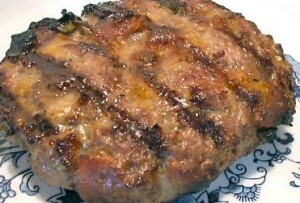 Here is a recipe for a nice burger with BBQ sauce. 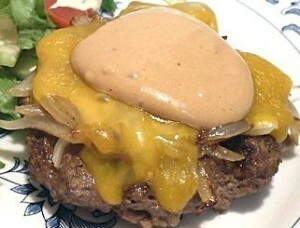 Start by mixing the barbecue sauce and the mayonnaise together to a fine sauce. Fry the onion in butter in a small pan until it is starting to get a little brown. Start frying the hamburger patties, season with salt and pepper. If you want to know more on how to make really good keto burger patties check out our guide. Add the onion and cheese on top and let it fry until the cheese has melted. Top it off with the sauce and serve it together with some salad. With these burgers you can easily make a really big batch and freeze them down. Easy and extremely good bacon cheese burgers. For additional guidelines on how to make your burgers perfect check out our keto burgers guideline. Take a normal sized bowl, add the different ingredients down into the bowl and mix the ground beef, pieces of bacon, cheddar cheese, green onions, Worcestershire sauce, salt, pepper and garlic together. Then shape everything to 5 or 6 burger patties according to our keto burger guide. Fry the burgers in a frying pan or put them on the grill. Add an additional piece of cheese on top when they are done if you want. It always tastes better with some additional melted cheese on top. Your perfect bacon cheese burgers are now done. Enjoy them with a nice sallad or other side dishes.